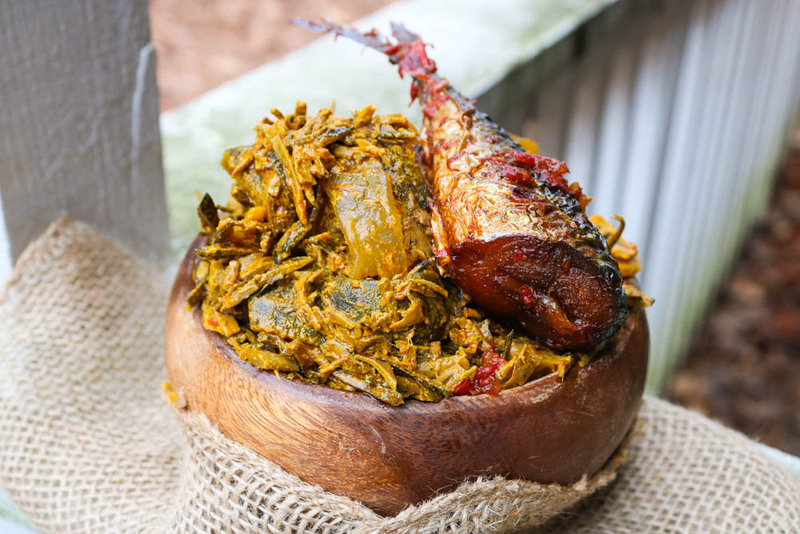 I come from a town in Nigeria where we make our local dishes a little different, but in sharing this recipe, I modified it to fit the general demand of my people. I’ll make note of how you can make it my own way so you may have both. Mix the oil and ngo liquid until it thickens; then pour half of the oil and ngo mix into a separate bowl and set both aside. *2) for the Ncha, you may use the usual potash or use baking soda mix with water. I prefer the Ngo(ash) method. This recipe is an irresistible one.